How excited are we? 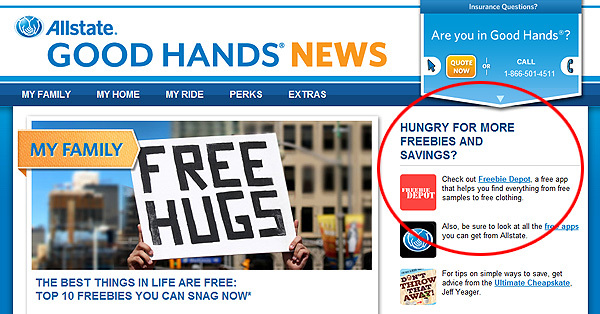 The Freebie Depot FREE Stuff iPhone App is currently featured in the Allstate Good Hands News! Our FREE Stuff App features an exclusive tracking feature so that you know what FREE Stuff you have requested. It stores those items in a list that is quick to refer to. PLUS, FREE Stuff added every single day! Get FREE Stuff wherever you happen to be as long as you have your iPhone with you with our FREE Stuff App. Are also making an android app?